This small footprint Smoker's Pole Station is the modern answer for unsightly cigarette butts. Slim and attractive, this snuffer looks great indoors as well as it works outdoors. The all-weather powder-coat finish prevents cigarette burn damage. 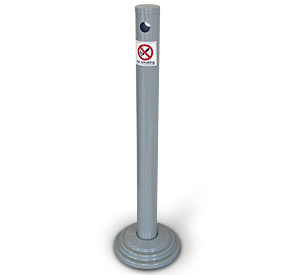 The Smoker's Pole Station is available in the color options as shown to match just about any décor.